1. If you going to buy the game, make a pre-order in the official store to get gold packs for free. 2. Take a few minutes to think which edition you will buy. The standard edition is good sufficient for most of the players but if money is not a problem for you, choose one of the other editions. Super DeLuxe has the best packs but you will have to wait 40 weeks to receive them all. 3. 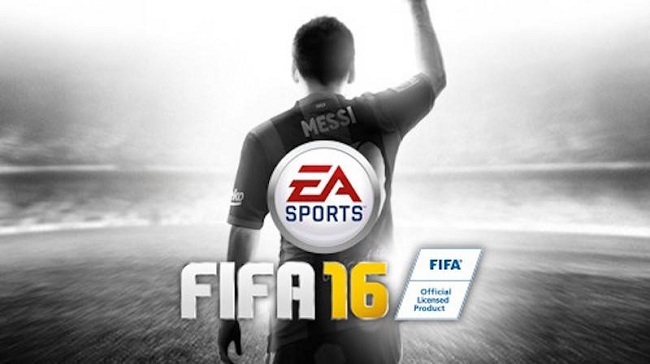 If you have an active EA Access subscription don’t forget that you will be able to play FIFA 16 five days earlier. 4. Don’t forget to redeem every single daily gift EA gives you in the first days. 5. Complete the 18 manager tasks as soon as possible. 6. If you don’t mind spending real money, buy FIFA Points as soon as they are released. They are more valuable now. 7. If you don’t have enough FIFA experience, watch the in-game tutorials, our gameplay guides and practice in arena. 8. Even if you are a experienced FIFA player, let the ‘Trainer’ turned on in your first matches. It will be useful to get used with the new movements like the quick get up and the fake tackle. 9. Use the 99 contracts item on a good player that you don’t plan to sell. 10. Buy all the loan players items available in the EAS FC catalogue and use them. 11. Buy FUT 16 coins boost items before you start playing matches. 12. Ask to your friends to offer you the EAS FC items you want and return the favour. Both will pay 50% less. 13. Buy managers enough to reach the 50% bonus and pay the lowest price possible. 14. Use the Concept Squad to plan your team, instead of doing it on an external squad builder. 15. Don’t focus on building a top team right now. Try to build a weaker team in which players could be used as substitutes or reserves in your final team. 16. Choose players according to their stats (and not by their rating), their positions, the squad formation and the chemistry. 17. Focus on building only one team. In the beginning you should only spend your resources on what is strictly necessary. Other teams, badges and kits can be bought later in the game. 18. Buy contract cards on the day before the early access release or, at least, before the game launch date. 19. Sell everything you own and build a team from scratch. Be persistent and avoid discarding items that can be sold for a higher price. 20. Use all the contracts of untradeable players. 22. Play with the fact that most of the prices will go up. 23. Pay attention to the market, especially in high traffic hours on the release date. 24. Never invest everything you have. Always put a few coins aside. 25. If you got a top player in a pack, wait a few days to monetize him. 26. Don’t waste your coins buying packs. The chances of pulling something good are really low. 27. Don’t buy IF cards. Leave them for later. You have tons of good regular cards to try first. 28. Play your first games on a low difficulty level and focus in adapting to the new game play. If you feel that you are beter than your opponents, play Draft to get good rewards. If you have Draft Tokens, use them as soon as possible. 29. If you have started FUT 16 in the middle of the season, wait until TOTY or TOTS weeks. The prices will be much lower. 30. Never forfeit. It will ruin your %DNF and you will receive less coins in the end of each match. This entry was posted in FIFA 16 and tagged FIFA 16. Bookmark the permalink.